Suppose you screeve? or go cheapjack? Or take the broads? Or fig a nag? 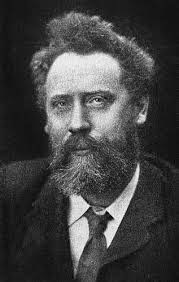 The verses aren’t by the everyday Anonymous, but by a Victorian: William Ernest Henley, who was born in Gloucester, England, in 1849, and I wanted to know more about this man who seemed so fascinated by rollicking language. It became an oddly circular investigation. As a child, Henley had poor health, developing tubercular arthritis at twelve. The son of a bookseller and publisher, Henley was at Gloucester's Crypt Grammar School when a new headmaster, T.E. Lawrence, arrived. His mission was to improve the standing of the school, and so he was keen to inspire his older Crypt pupils with a love of literature. As Henley’s father had died, Lawrence took a particular interest in the boy’s struggles, encouraging him to write poetry, and eventually to study at the University of St. Andrews in Scotland. Henley’s illness had persisted. In 1868, aged 19, his left leg was amputated below the knee and from then on, he wore a wooden leg. Aged 24, and with an almost gangrenous right foot, Henley was admitted to the Royal Infirmary in Edinburgh. 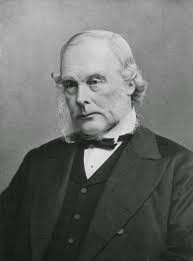 There, Joseph Lister, the pioneer of sterile surgery, performed radical surgery and saved the limb, although Henley had to endure more painful treatment for another two years. 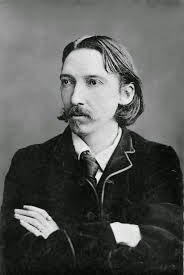 During this period, Henley met Robert Louis Stevenson and the two young men formed a very strong friendship. Henley himself became editor of “The Scots Observer” and, later, of “The New Review”. As editor of the “Magazine of Art”, Henley lauded the work of new artists like James McNeill Whistler and Auguste Rodin. He encouraged writers like Conrad, Yeats and HG Wells, was friends with Rudyard Kipling and J.M.Barrie. Henley’s only daughter Margaret Emma, who called Barrie her “fwendy-wendy, became the origin of Wendy in “Peter Pan” although sadly, aged five, she died. gives the impression of a grosser mass of character than most men. It has been said of his presence that it could be felt in a room you entered blindfold. This description led me on to the piece of the Henley story that I like the most, one that I did not expect. W.E. 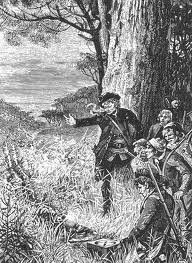 Henley with his piratical manner - and his wooden leg - is thought to be the model for one of Stevenson’s strongest characters: Long John Silver, the infamous mutineer and pirate of "Treasure Island." How glorious! Suddenly the poem that started my investigation, Henley’s rumbustious "To All Cross Coves" made sense after all. Then, as happens, I discovered another surprising Henley link. While I was tracking down my “cove”, I heard items in the news about the military Paralympics that were taking place in some of the still existing Olympics venues. Now, when young Henley wrote his poems at Crypt school, trying to survive all the difficulties that life was throwing at him, he wrote these lines, in a poem with the title "Invictus". And, meanwhile, I have another reason for posting this post today. Henley – an Englishman who lived in Edinburgh – and Stevenson the Scot were once close friends. Although they fell out, mainly because of slights and misunderstandings and wives, the two men missed each other to the end of their days, and grieved over the lost friendship and what might have been. Tomorrow the Scots vote whether to become Independent. They choose whether to break away from the United Kingdom. At one level, I know it is all about politics, economics and logic and the Scots are free to choose as they wish. However I, living in Yorkshire, have no say in the matter, other than the thought of Britain being divided fills me with unexpectedly real sorrow. I am not sure I trust any "hand of history" men. Good wishes to all, no matter how the day goes. The joys of research, Penny. Seek and you shall find… what a treasure chest of information, words and friendships you have cast on the table here. I was thinking, before you reached your conclusion, that such a friendship as Henley's and Stevenson's, after a possible YES vote tomorrow, might never take place. What a great pity the two men fell out. Thank you for this post. Loved this, Penny, from beginning to end. What a wonderful string of connections - material for an entire book! Thank you! A rich and delightful post - full of sound-painting and factual information. I learn SO much on this site! Regarding - and even before the referendum vote - I feel as you do, Penny - more in sorrow than in anger I deeply hope that the United Kingdom is still just that on friday morning. Thank you for getting the brain cells tingling this morning! What a fabulous post, Penny! I didn't know any more about Henley other than that he was a friend of Stevenson. And I couldn't agree more about bonnie Scotland. I hope we stay together. What a fabulous post and a fabulous story, thank you. Has he had a biography? Goodness, I never heard of this an! Who would have thought there would be so many fascinating connections? Including that line I HAVE heard of "I am the master of my fate..."
Wonderful! I wonder if that T E Lawrence was an ancestor of the later one? Thanks, everyone, for enjoying this Henley post. I paused when I came across the T.E. Lawrence name too, Sue, but there was no connection. Henley riding on a motorbike? I think he would have liked that, even if it was out of his time frame. Absolutely wonderful! And yes, please, Scotland, stay with us! We love you! I have loved Henley's Invictus ever since I first heard it. Great post.